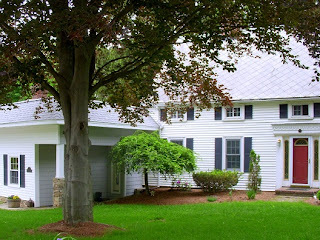 September 20, 2011 — The place where L. Frank Baum was born paved its sidewalks with yellow bricks. The place that gave the world Oscar Wilde installed a statue of the author right across from his home. The place where Edgar Allan Poe was born demolished his house and the entire street on which it sat, and then decades later quietly slapped a plaque dedicated to him on the side of what is now a burrito joint. Poe was publicly critical of his birthplace of Boston, MA. Actually, he as absolutely invective of it. He didn’t like the works of its famous authors like Henry David Thoreau and Ralph Waldo Emerson, he didn’t like the poor reception of his own work there, and he generally just had bad memories of his time in the city, which included a five-month stint in the military at Fort Independence on Castle Island, an embarrassingly panned public reading for the Boston Lyceum, and a failed suicide attempt. 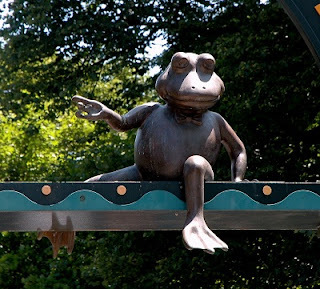 He liked to call Boston “Frogpondium,” a disparaging reference to a frog pond on its common and what he believed to be a parochial view of the world on the part of its literary set. Many people believe this was why Boston, a town that commemorates anything it can paint the red line of its Freedom Trail to, never really celebrated itself as the birthplace of one of the world’s most famous authors. 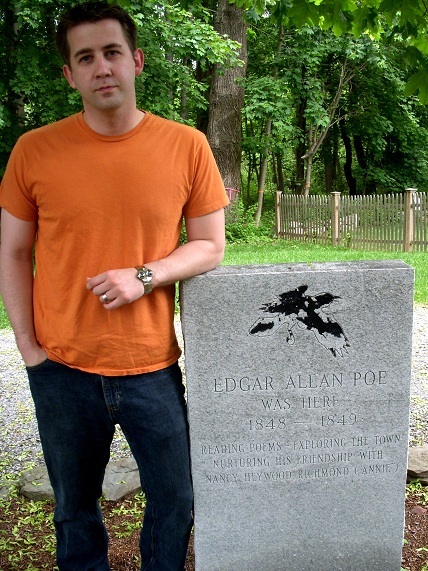 Poe was born on January 19, 1809, at what was then 62 Carver Street. 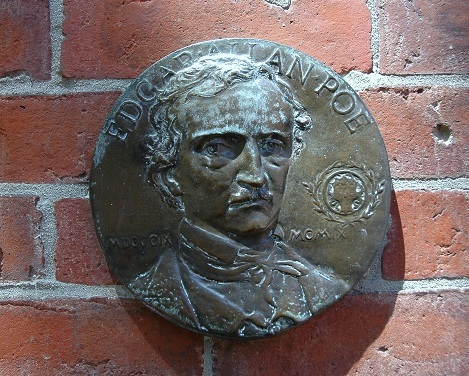 His family moved a few years after his birth, but Poe returned to Boston regularly throughout his life. 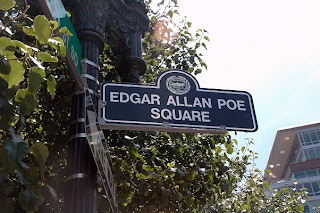 Unfortunately, most of the sites that figured in his life are long gone, but one can still find tell-tales of Poe in Boston if one practices a bit of Dupin-like sleuthing. It was in the 1960s that the exact location of his birth was obliterated more completely than the House of Usher. It was part of a development project that entirely reconfigured the urban geography of the area. 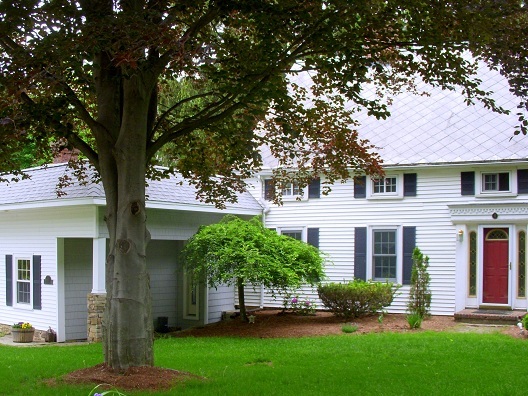 In 1989, a private group installed a small Band-Aid of a plaque on the side of one of the buildings near the spot where his original house stood. The store has been a few things over the years but these days, it’s a burrito restaurant called Boloco, referred to as Poe-loco by those who are more comfortable uttering puns in public than others. The building is located at the southeast corner of Boston Common at the intersections of Boylston and Charles Streets. 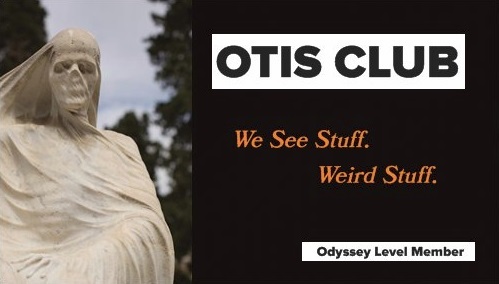 However, finally, in 2009, on the centennial of the author’s birth, the prodigal father officially recognized its macabre son, albeit in a small way. The city dubbed the courtyard at the intersection of Boylston and Charles, “Edgar Allan Poe Square” and permanently hoisted a street sign there to attest to the fact. Meanwhile, just across the common from the square is the frog pond that Poe utilized so viciously in his criticism of the city’s literary elite. 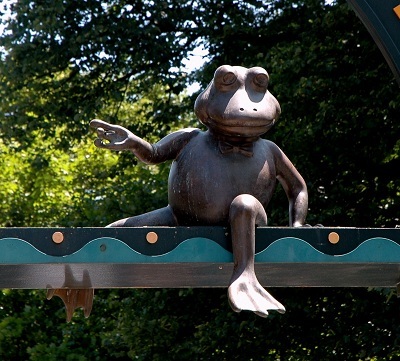 These days it’s a frog-themed children’s recreation area. Fort Independence, where Poe served in the U.S. Army as an artillery man is also still around, although it was completely reconstructed a few decades after Poe’s time there. In addition, Castle Island, which has been the location of a fort in one form or another since the 1630s, is also not on an island anymore, as it was connected to the mainland with a land bridge in 1925. The high-walled pentagon-shaped building, like most historical forts in the U.S., is now part of a public park. 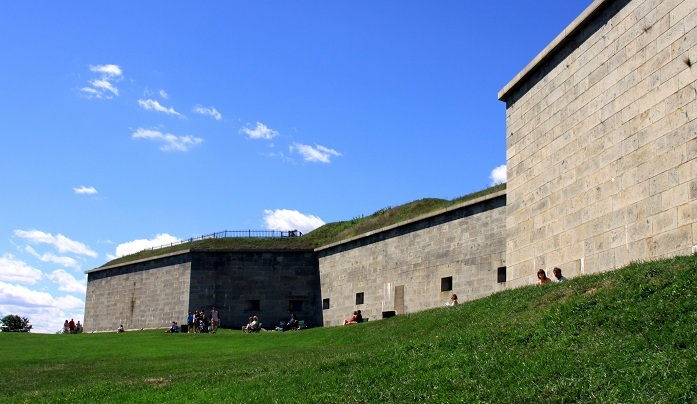 According to a brochure available at the fort, the location was the site of a famous duel in 1817 that may have inspired Poe when he wrote The Cask of Amontillado. Of course, those types of rumors abound in any city in which Poe merely hefted a glass of port, and they continue in Boston all the way out to its suburbs, where more tales of his patronage and inspiration abound, few of which are validated and most of which are highly improbable. However, in the town of Westford just northwest of Boston, a curious testament to the presence of Poe has been erected. 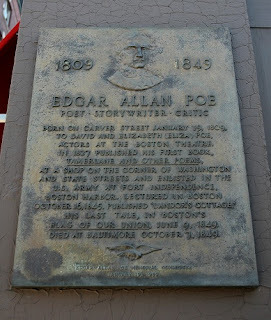 In this instance, the historical record seems to bear out at least some of what the marker says, but it’s telling that a place like Westford has done as much with its slight connection to Poe as the entire city of Boston has done for its solid one.